Patient of the Month | Animal Medical Center Rogers, AR. 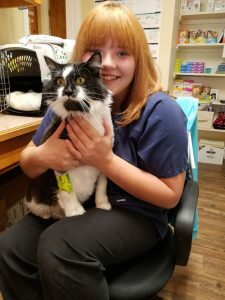 Our patient of the month for August is Berlioz! He presented to our clinic on 8/7 for lethargy and not eating. 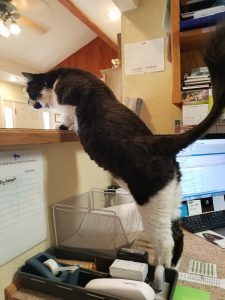 After running some diagnostic tests and bloodwork, Dr. Dickey diagnosed Berlioz with cytauxzoonosis, or “Bobcat fever”. We have had several cats come in with this disease in the last few months. This disease is transmitted through ticks, so the best way to prevent your cat from getting this disease is by keeping your cat inside and if not possible to do so, by keeping him or her current on a good flea and tick prevention.